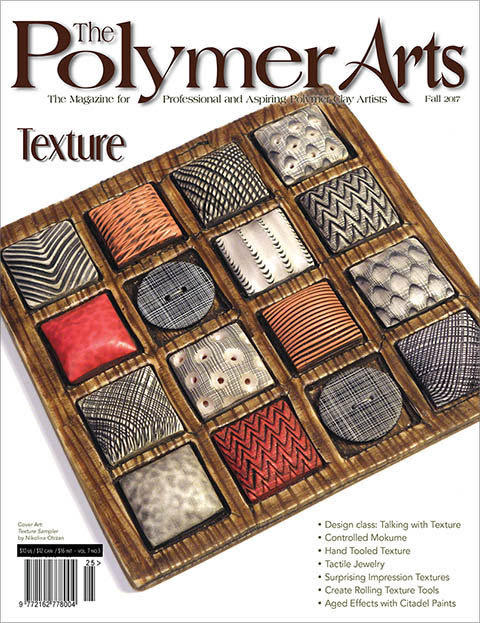 Have you seen the new Polymer Arts magazine? It’s the Fall 2017 issue, it’s entitled ‘Texture’ and I was lucky enough to be able to work with the amazing Sage and write an article (on my favourite subject!) for my most favourite publication. This issue features cover art by the amazing Nikolina Otrzan and there’s also some wonderful articles on hand tooled texture, tactile jewellery, talking with texture and so much more. 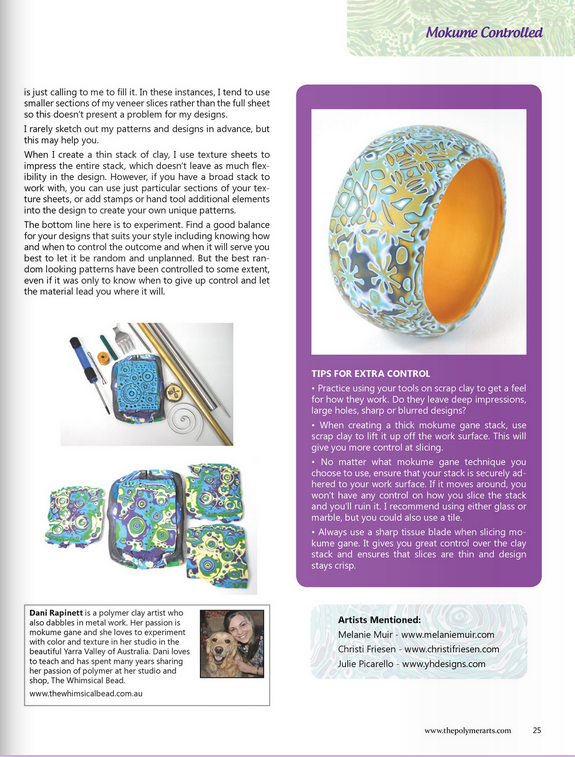 Our friend Christi Friesen also has a wonderful article inside. Being invited to write this article was a perfect way for me to kick start the mojo again after a difficult few months health wise and I can’t thank Sage enough for that. 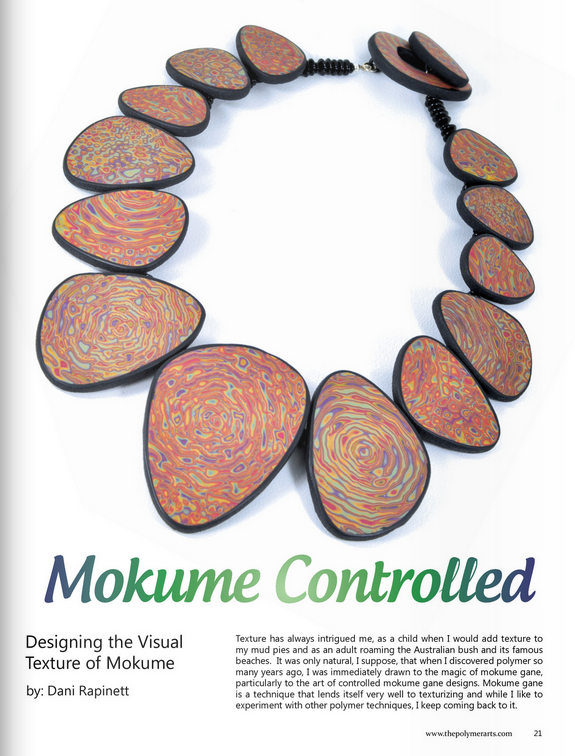 You can read my ‘Controlled Mokume’ article in the latest issue – Texture (which is also now in stock at the studio). If you’ve got any questions regarding anything in my article, please don’t hesitate to contact me.